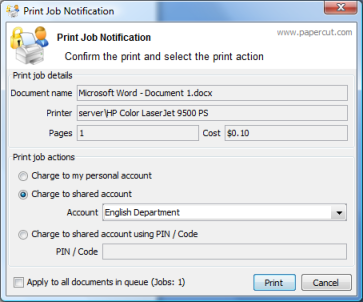 Show users their balance, send notifications, confirm printing or charge to shared accounts. 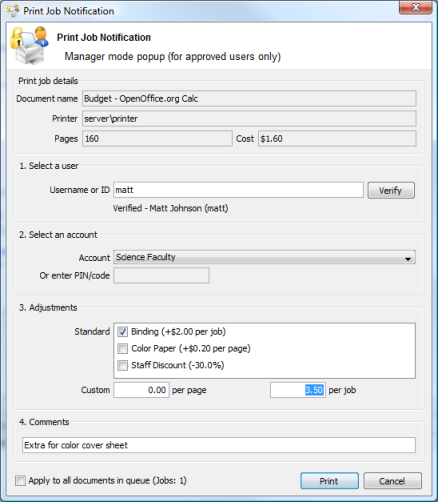 When a user prints PaperCut may optionally display a popup with print job information including number of pages, color/grayscale information, the job's cost and its document name. 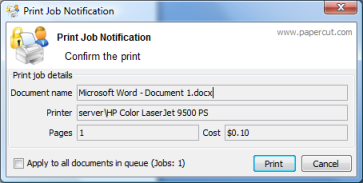 Users verify the print job and can choose to print or cancel it. 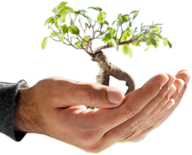 This process reduces waste by reducing the number of incorrect/accidental print jobs.